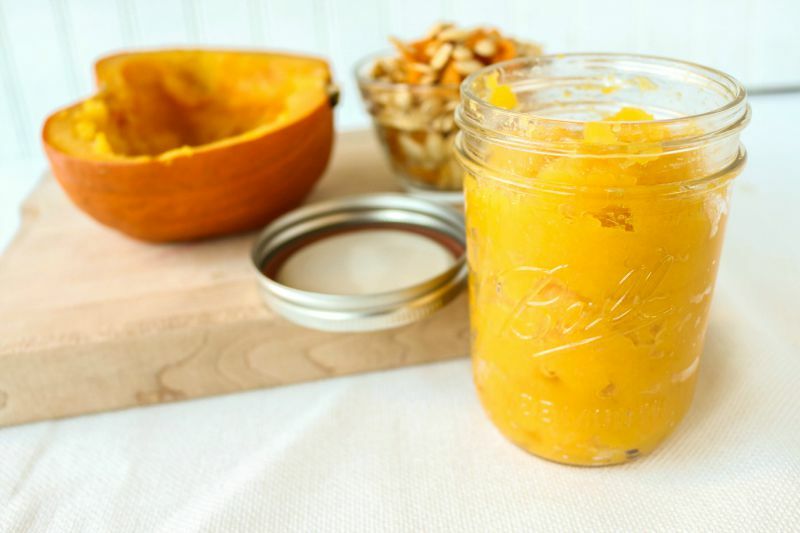 With all of the delicious pumpkin recipes floating around during the fall months, you will want to have a good stash of pumpkin puree. But who says it has to come from a can? 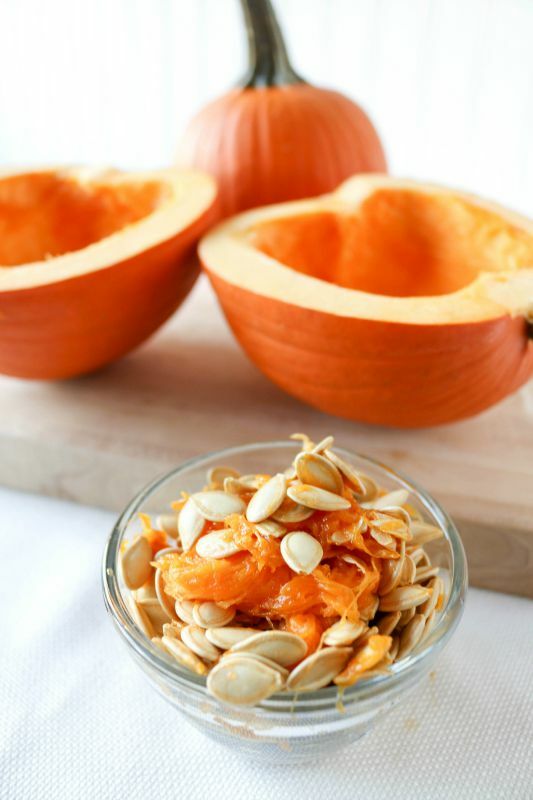 It is simple and inexpensive to cook and puree seasonal pumpkins from your local market or pumpkin patch. 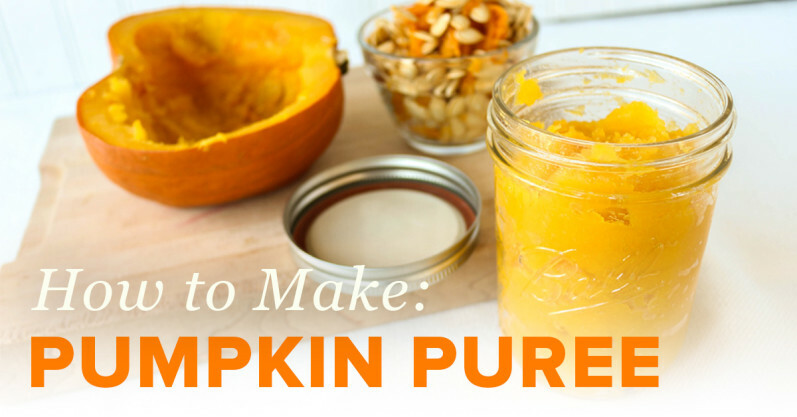 Follow the instructions below to make your own pumpkin puree. 2. Cut the pumpkin in half, (or fourths if using a large pumpkin) trimming off the stem. 3. Use a spoon to scrape out seeds and guts. 5. 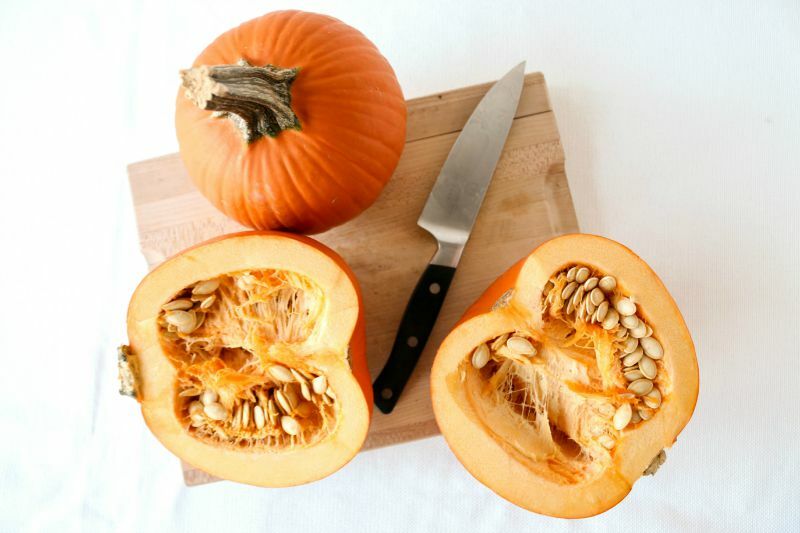 Roast for 45 minutes to an hour or until the pumpkin is fork-tender when pierced. 6. Allow to cool, and peel off the skin or scoop out the pumpkin flesh. 7. Puree using a food processor or blender, or mash with a potato masher for a chunkier texture. 8. Portion into freezer bags or containers and freeze. 9. Use in your favorite pumpkin recipes. Can you use any kind of pumpkin? Or just those pie pumpkins? does it have to be a pie pumpkin? I did this a few years ago and it seemed my pumpkin recipes were flat.. ? It does help to be pie pumpkins, they taste better if you ask me. This is how I do my pumpkin but what I do is let it sit in the fridge overnight in a sieve / strainer covered inside a bowl. This gets rid of moisture and u only freeze puree, not water. Unthaw less water. 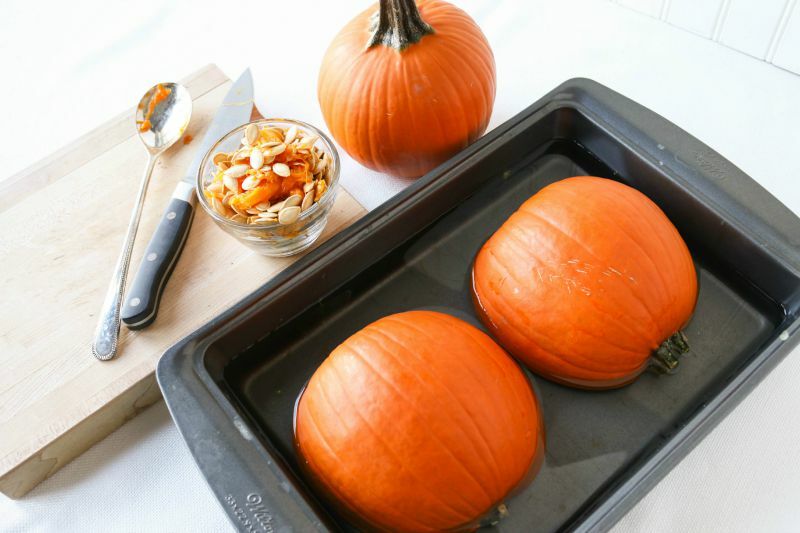 — I put down 20 pie pumpkins just after Thanksgiving and it was so easy. Just running out of puree Now.Hope this helps Enjoy..